Despite new launches, Pakistan’s automobile sector continues to disappoint customers. New car launches in Pakistan have always been a bit of an enigma. While new models are launched in most Asian markets by January, the local industry rolls them out mostly after the first quarter of the year. This raises question marks about the quality of the industry’s planning, inventory control and market research capabilities, all of which result in stuck-up inventories of old models that have to be cleared, much to the disappointment of buyers who want to acquire the new versions at the start of the year. Making it worse from the customer’s point of view, these flashy launches end up promoting a lot in the product without really delivering much in the way of groundbreaking value additions. Despite launch prices reaching as high as nearly Rs 2.5 million for sedans, most of the technology on offer in the US and European variants is seldom available locally, both in terms of utilities (built-in car accessories) and safety. There were similar apprehensions when, arguably the most popular sedan in Pakistan, the Toyota Corolla, was launched. The US variant of the model had built-in stability and traction control, seat belts with emergency locking retractors, eight airbags, side impact door beams, child tethers and anchor system, a tire pressure monitoring gauge and an engine immobiliser. The local variant, however, delivered much less; in fact, with the exception of seat belts and one airbag, nothing else was fitted in. The new Corolla’s limited offering had significant implications for the important 1300cc category given that, as matters stand, the Civic could well upstage the Corolla’s supremacy in this category in the 2014 face-off. The Civic Oriel (launched in 2012) had already been rated as Car of the Year 2014 and the Corolla was widely seen to have fallen short of expectation versus its rival. Since the Corolla launch, the Honda Civic has had the opportunity to go one-up and offer better utilities to the customer at a comparable price. While the new Civic Oriel also fell short of the global product offering, it offered relatively better utilities than the Corolla, with two airbags, three-point seat belts and a brake override system. If sales of the two rivals indicate any gains, the Civic has clearly been able to peg down the Corolla since its launch in July 2014, increasing its market share to 26% from 17% last year, while Corolla lost a commanding 50% market share in 2013 to slip to 28% (Source: Pakistan Automotive Manufacturers Association). Industry analysts therefore believe that 2014 has effected a change in consumer perception in favour of the Civic, by offering a better driving experience than the Corolla, with resale value also registering an improvement. Nonetheless, although customers are upset with all domestic producers for failing to deliver the latest features while rolling out expensive models, the local industry has its own arguments. In their view, many of these safety features are not relevant to the Pakistani driver circuit, given the traffic congestion, driving culture and the quality of the road network. Moreover, building these features into car models proposed for Pakistan would further increase prices to a great degree, thus rendering them unaffordable. They also quote the example of imported used Japanese cars that carry a lot of such features and which are redundant to the Pakistani driving experience. Although this may be true to a great extent, many customers feel that the industry has been going in for the kill. Recently there has been talk of forming a consumer group to lobby the Government to set up an automobile consumer protection agency (similar to the National Highway Transport Safety Administration (NHTSA) in the US) to look into allegations of overpricing, poor quality of assembly and production, road worthiness and the lack of essential safety features in an industry that is globally recognised as the most technologically-fed industry in the retail sector. The agency would also set and impose safety standards. However, some analysts are of the view that the powerful automobile industry is likely to resist this tooth and nail, something that may already be in the works. New models invariably bring in new challenges for the local automobile industry, which has to follow an ambitious government deletion programme to transfer technology – essentially constructing parts and accessories locally to progressively ‘delete’ foreign components in the vehicle. This is done in order to bring the dream of an affordable ‘Pakistani’ car closer to reality, while supporting a local vendor development base. However, this is seen to impact the overall quality of the vehicle and is therefore very challenging to sell to the principal manufacturer in Japan. 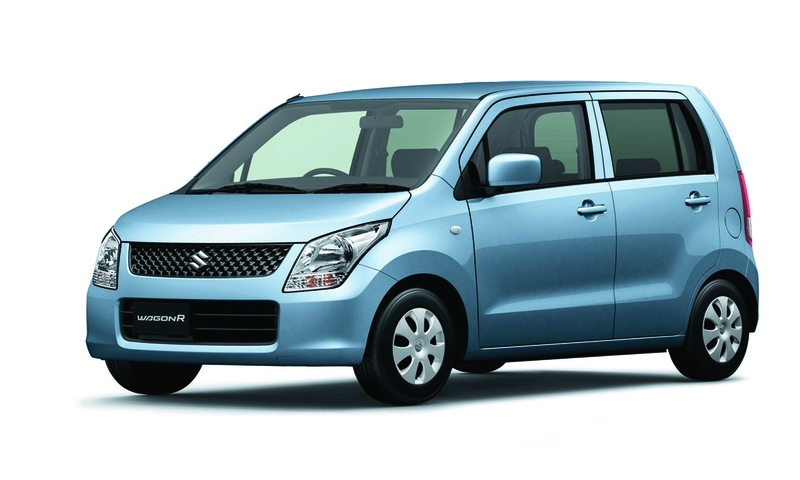 A major launch in the 1000cc car category was Pak Suzuki’s Wagon R. Launched in April this year, Pak Suzuki essentially added another vehicle to the Cultus, until now the only locally made car in the 1000cc category, and at more or less the same price. The idea was to offer an improved replacement for the discontinued Alto. The company went to the extent of offering a test drive for potential buyers and this, in its category, is regarded as a first for the industry. The Wagon R offered a sporty interior, an anti-theft device with better fuel efficiency (up to 17 km/litre) compared to the Cultus, thereby addressing three critical elements customers are always looking for. The ‘R’ in the title is said to stand for revolutionary, and this is indeed the first Suzuki car in Pakistan to introduce the new K engine series which, apart from being powerful and fuel-efficient, offers a noiseless performance, until now considered an elusive feature in Suzuki cars. With 2300 units already sold since April, the car is sure to strengthen the company’s robust market leadership. The fact that the Wagon R VXL was launched in the Cultus price category while offering the driving experience of the Swift, may well eat into sales of the Cultus in the long run, unless intelligently marketed by the company, and the industry may eventually end up having one car in the 1000cc category. On the other hand, the success of the Wagon R may motivate other players to introduce their own product lines in the 1000cc category, which in turn is likely to offer greater driving comfort and safety options. Pakistan’s automobile industry has great potential to expand and engage customers with a greater variety of locally produced models available in different categories, so that they do not divert to imported or used imported models, overpriced as they are. However, until then, new product launches will continue to be seen with cynicism by the consumer as a meagre extension of the same product offering and serving the interests of the producers only.